You Spent the Time, Make Them Shine! You didn’t take the time to decorate each individual cupcake so they could wind up on lost in the middle of a boring dessert table. 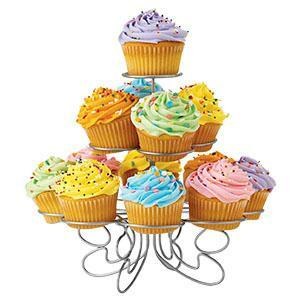 Show off your sweet creations with the Cupcakes-N-More Dessert Stand. 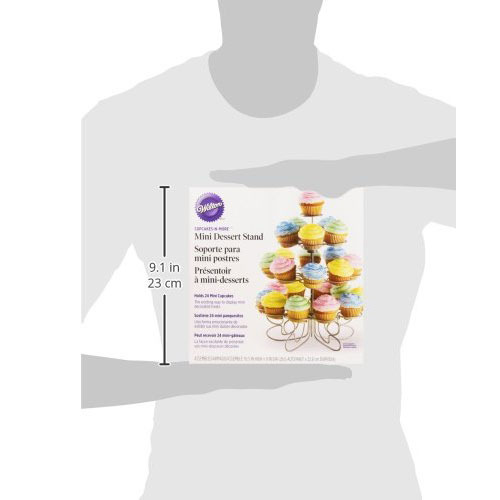 It takes any dessert to the next level with its angled tiers for the best view of all your decorated cupcakes. And if you're crunched for time, even store or bakery-bought muffins and treats get the homemade touch any time you need it when you place them in this showpiece. 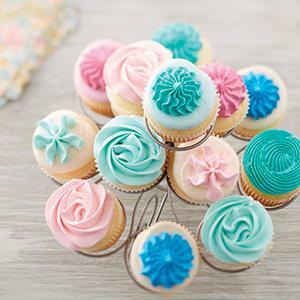 Rich buttercream frosting in cool pastel colors are a classic look for any shower or spring event. Dreamy swirls and fun dotted stars make each cupcake its own little treasure. So you had every intention of baking those artisanal breakfast pastries for your coworkers using that recipe you pinned to your board ages ago, but then life happened. Time got away from you and you wound up having to stop at the bakery to buy them. No problem! 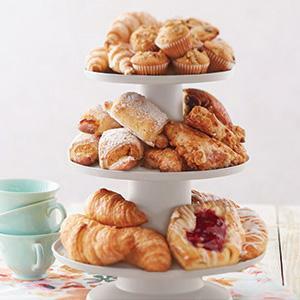 Just a bit of artful arranging on a tiered dessert tower and those store-bought goodies look so delicious, no one will ever think twice. Don't let the size of these mini cakes fool you. 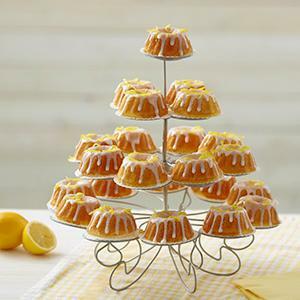 So tiny to the eye, yet these yummy lemon cakes drizzled with a sweet, silky lemon glaze pack a punch of flavor. 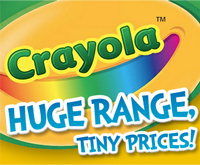 The only bad thing about these delicious little dynamos is that they're gone in just a few bites. Individually decorated cupcakes are the perfect way to add a personal touch to parties. 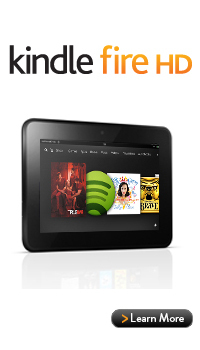 Now with Cupcakes 'N More¿, you have the a exciting way to serve them. The twisting, towering design helps to celebrate any special occasion - kids' birthdays, showers, holidays and weddings. 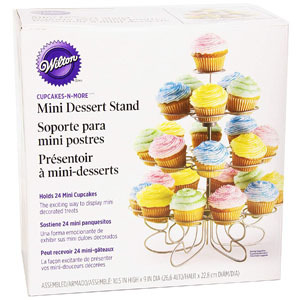 New 24 count mini dessert stand!